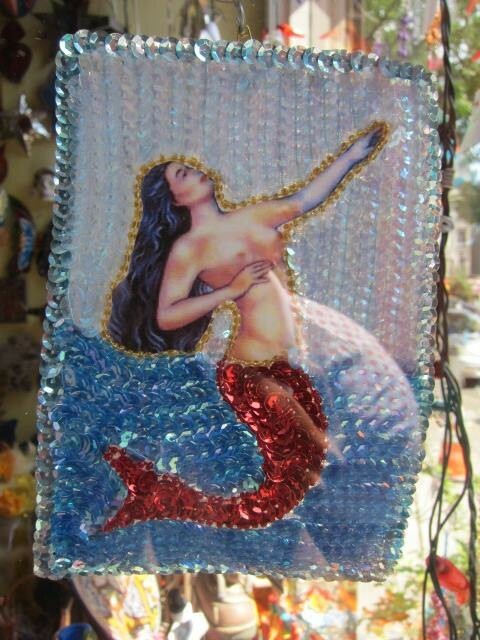 Dina Leor arrives at La Sirena, a shop boasting artisan wares from all over the Republic of Mexico, and hangs traditional plastic shopping bags with effigies of revolutionary-war hero Emiliano Zapata, the Virgin of Guadalupe and, of course, La Sirena -- a character from the popular Mexican children's game la loteria. As she cradles a fresh bouquet of roses later to be placed at the side of holy candles blessing the storefront, she smiles about how reminiscent it is of a tianguis -- better known as an open-air market typically taking place in the town square of major Mexican shopping hubs. 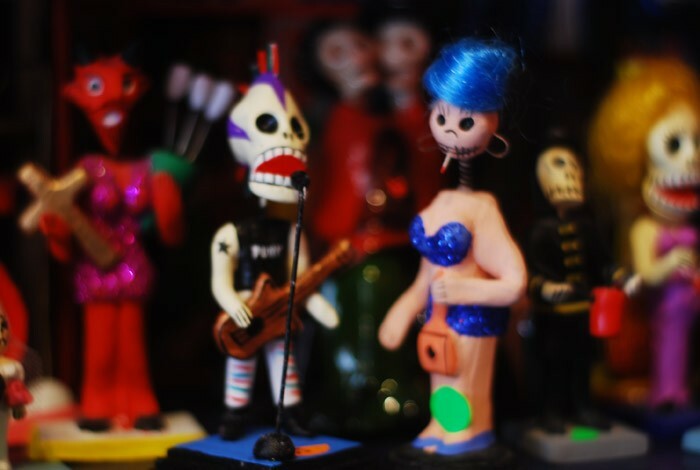 The store is tucked quietly in a lazily-moving area of the East Village, touching so slightly on the NoHo border, but inside the unsuspecting shop is a vivid wildness only Mexico could offer. Leor is -- as she describes -- an Argentinian-American with a Mexican heart. Though she grew up in New York, Leor often traveled to Mexico at a young age where she fell in love with the places, art and people. An artist by trade, Leor was previously an art therapist providing an outlet for children with mental health issues to express their creativity for Belview Hospital. Around 14 years ago, she found herself venturing to Mexico three to four times a year as an escape. "Mexico was the only thing that revived me," she said, alternating between English and Spanish. At one point, she took nearly back-to-back trips, one of which she was hesitant to come back from. She returned begrudgingly to be met with the news of a lifetime: 14 teachers at the hospital would be laid off. "I was the only one in that line with a smile on my face," she said. She got by for a short while teaching creative arts classes, one that she planned to promote by putting fliers in storefronts. She she was placing a flier in the window of a consignment shop a friend of hers worked at, she made an odd discovery -- half of the store was closed and available for rent. "As I walked out, it was like a lightbulb went off. I still don't know why I said this, but I told [her friend]: 'I've always dreamt of having a store,'" Leor recalled. Until then, Leor spent many nights hosting a booth on St. Mark's Place filled with Mexican artistan wares that she brought back from Mexico herself, often until 2 or 3 a.m. 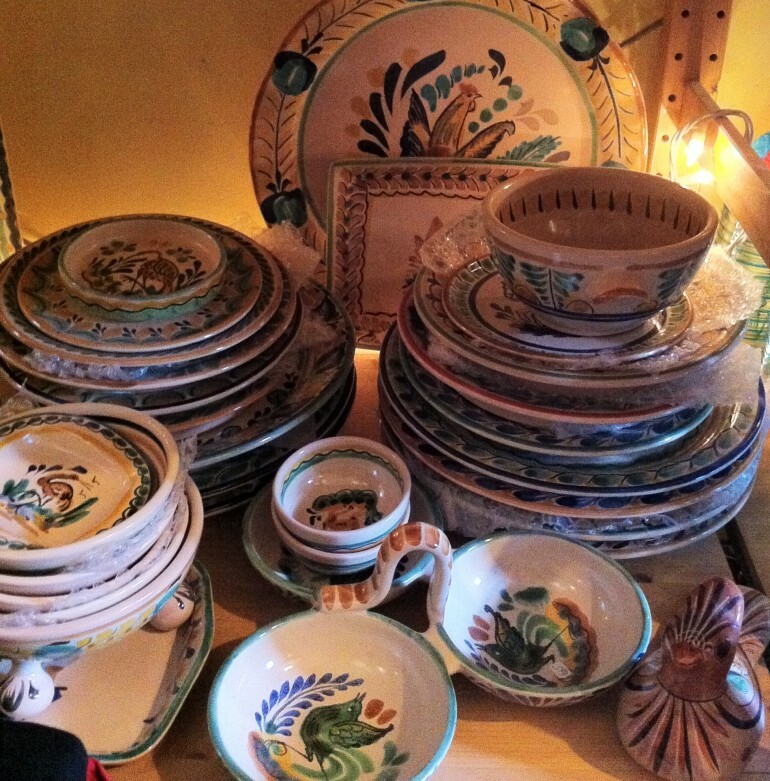 Guests were clearly fascinated by the products, many of which decorated her own home. In nearly no time at all, Leor managed to rent out the front half of the empty store. She didn't have the money for the full space and briefly shared a spot with punk-rock designers. 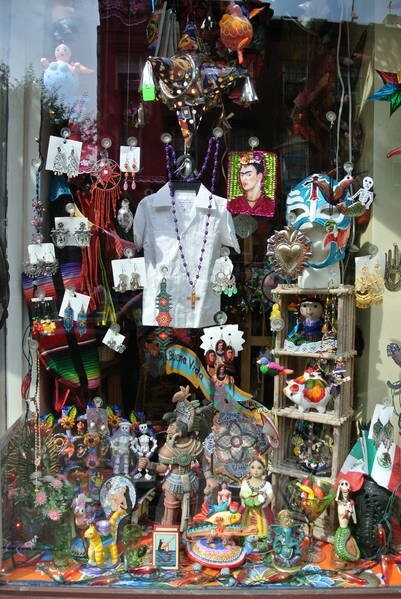 The colorful shop, brimming with traditional folk art, jewelery and droll statues paying homage to Dia de los Muertos was, much like the renting of the property, suddenly brimming with press and attention. "I told my parjea [my husband], 'You have to come with me to the shop tomorrow. It's going to be busy," she said. With a little persuasion, she and her husband both braved the morning after the wave of media attention and nestled themselves into the cozy shop. It was a snowy day in New York, a prospect that usually drains the never-sleeping city of people, who turn in the excitement for a warm blanket and coffee. Leor's hunch didn't go unmet, however, as the couple was greeted with a line that went out the door, spilled over into the surrounding block. It got so tumultuous that she had to limit the number of guests who entered her store at a time. La Sirena sold out of everything it had that day. Leor enjoyed the success of the cramped store for a while before she was off to Mexico again, filled with delight that her dreams were coming true and her passion had melded seamlessly into her every day life. This time, her joyful return would not bring her good news. Upon her return she discovered she was being thrown out of the shop. She clammored for a new space just as 11 crates of purchases were arriving from her newly-finished excursion -- all of which had to find space in her apartment now that she was without a business. Friends of La Sirena were so devastated by the loss that soon Leor had an army of people seeking a new venue for her, which is how she landed at her current location on East 3rd Street. "I was so blessed," she said. 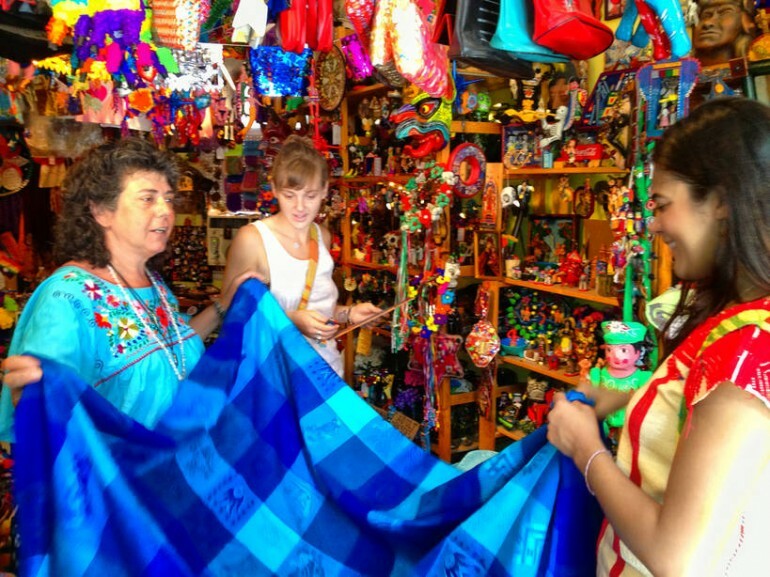 Leor gets her trinkets directly from Mexican artisans, many of whom she's made friends with over the years. She seldom ever barters, a practice commonplace for many tourists to the country. "I always try to give them the first price they ask for," she said. "Unless the resale value is unrealistic, I don't aruge with them. I give them what they deserve." 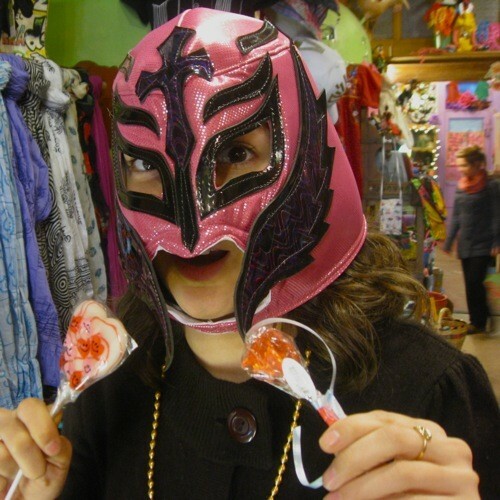 Though she travels to Mexico less frequently than before the start of the shop -- about once or twice a year now -- she continues to buy products by the crateful. The shop is small and smelling of candles. She carries out a daily routine of setting up potted plants and sprinkling the doorway with yesterday's rose petals. A marigold plant sits in the front, which is a major symbol of the Mexican holiday Dia de los Muertos, a common staple in the store, which hosts droves of skeletal figures peering at all who enter, with jovial smiles on their boned faces. Some appear to be singing while one slaves over tortillas. Friends of hers have described the venue as "a living altar." Leor also accepts art from Mexicans living in New York, though she is fond of bringing the authenticity back from vendors in Mexico. "We have a lot of amazing Mexican arists in New York, and I love the support the arts," she said. "There's people out there in Mexico who do this to suport their families and are paid almost likes slaves, so I like to fill boxes of memories and bring them back home to share with everyone." Leor is looking to expand her reach by creating a cultural center where anyone in New York -- from children to longtime natives to the hapless wanderer -- may come and be educated in, participate in and ejoy Latino culture by way of classes, interracting with artisans and perhaps enjoying a snack or two. She envisions volunteers teaching classes on indigenous cultures from their respective homelands, art projects for children and cultural festivities to get people interested in the vast cultural landscape of Latin America. Of course, the center would be intersectional, as her ultimate goal is to unite people through her passion. Leor laments the distinct separation of many culture, a common practice in New York in spite of being one of the most diverse cities in the country. "At the end of the way, we're all human," she said. "I feel like there's enough in the universe for everybody, so why compete?" Leor currently participates in a plethora of Mexican activities, including a walking tour of Little Mexico in uptown Manhattan. She is currently seeking volunteers for many of her projects. Those interested in Mexican culture or spreading the influence of any such Latino culture are encouraged to like her Facebook page by following this link. A wide array of positions are available and can be inquired about by writing in to the homepage. Those interested in visiting the shop may go to 27 E. 3rd Street.